As soon as we started planning our wedding I was 100% sure that I was going to make our invites myself. Since I was little I've loved everything crafty and there was no way I was going to pay someone else to make something that I could do myself. Wedding invites are expensive and DIY invites can save you lots of money but they don't come easily! 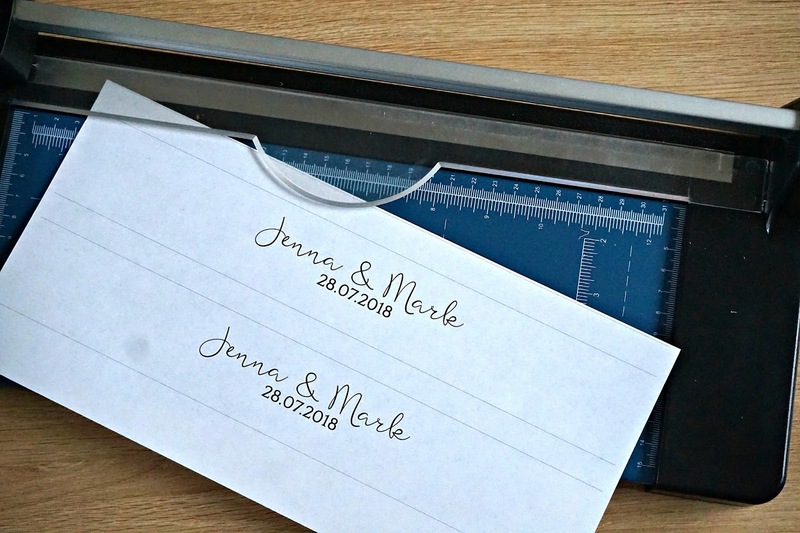 Thankfully mine have gone without a hitch so far so I've put together my Top Tips for DIY Wedding Invites. Wedding invitations can come in so many different shapes and sizes, then there's the colours, the fonts, the decorations - the list is endless! Some of the best places to start is Pinterest and Confetti Website. Gather together pictures of all the different styles that you like, whether that's pocketfold styles or laser cut designs. I soon decided that I wanted a pocketfold invite that has little RSVP and Menu cards tucked into the pocket. To start with I liked a long and narrow design but that didn't last too long. I changed my mind from originally wanting ribbon and glitter to opting for gold leaf and gems as well. Taking into consideration your colour scheme and the general theme or vibe of your wedding you'll soon have a bank of elements that can go into your final design. You won't know exactly how things will look unless you try them out so once you've narrowed down exactly what you need to include start trying things out. I can't keep track of how many different fonts I've tried out. You don't know how they look until you've typed out the exact words that you want. I've had a few different prototypes that I've shared with my Mum and Bridesmaids before going anywhere near the proper card. You can order samples of pretty much everything so don't bulk buy until you're sure. If you're not too good at graphics on the computer then there's tons of stamps to choose from on the Confetti website which can save a lot of hassle. Remember, you don't have to do it on your own! 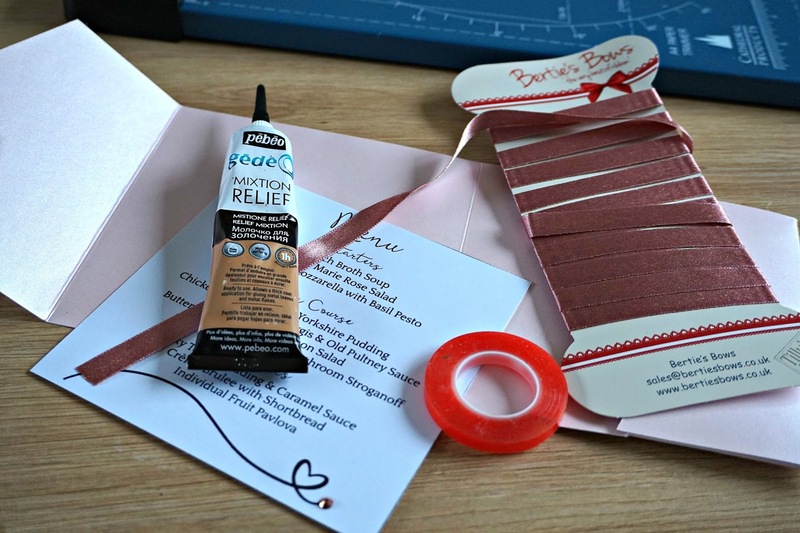 Once you know what you want and have the supplies to do it you only need to ask your bridesmaids and they're bound to be able to help out somehow. If not, I'm sure a bribe of wine and sweeties will convince them otherwise. Would you believe I've loved every minute that my bridesmaids haven't had a look in yet?